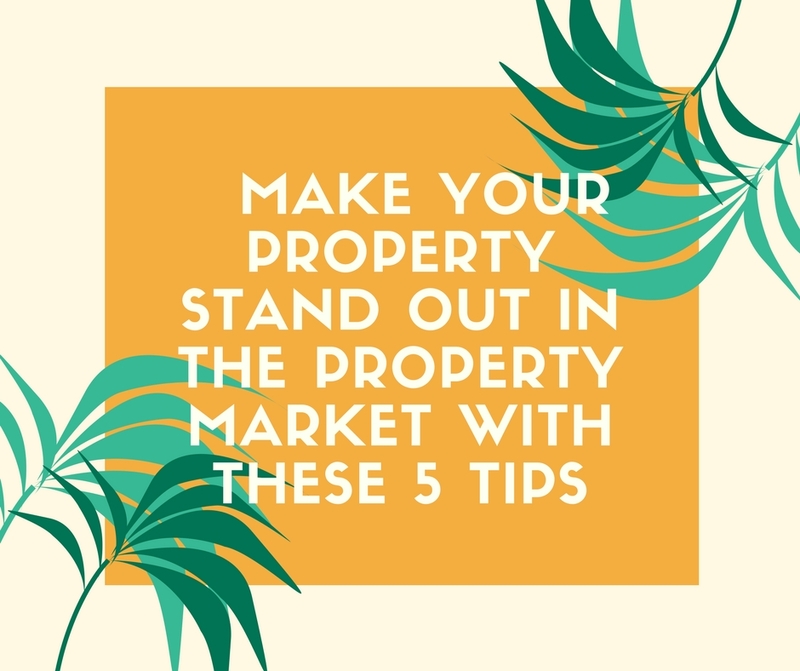 Make your property stand out in the property market with these 5 tips! In such a competitive market that is selling your home it is vital to take steps to ensure your home shines above the rest. These are our 5 tips to help you achieve this! Photographs are often the first of your home possible buyers see, so it is important to make a strong and lasting first impression. Getting photographs done by a seasoned professional could be the difference in getting your home sold. For minimal cost getting photographs done will ensure your home shines against other homes, making professional photographs a MUST! With living in a home and day to day life comes clutter! Clutter can make space seem cramped and untidy, which is not the impression you want to give potential buyers. A fast and easy way to increase the openness and invitingness of your home is to remove the clutter. Ensure the kitchen bench is clear of papers and keys, the bathroom has a clean and tidy bench with all toiletries hidden away to showcase the space available. No shoes in the hallway. If you have pets remove all beds, bowls, any toys or leads. The less ‘stuff’ the better! A clean fresh home leaves a lasting impression, which is exactly what you want! Ensure the floors are clean, windows washed, benches wiped down, no dirty clothes in the laundry, no wet towels on the floor of the bathroom. If there are any stains on the carpets consider getting the carpets cleaned. Cleanliness also extends to the scent of your home, use candles or air freshener to give the home a nice, light pleasant scent, be careful not to go overboard though! One word: COLOURS!! Adding colours to your home will not only look great but make the house feel like and home and add ‘life’. Plants are a great way to add a little extra ‘something’ to a room, a small pot plant in the bathroom or a large plant in the living room are easy to do for such a great result! Another great way to add to your home with flowers, add a bunch of your favorite flowers to the kitchen bench before an open home, once again, simple to do but adds brilliant warmth to the home. Don’t neglect the outside, it is still a part of the property! Ensuring your lawn is neatly mowed, the gardens are clear of any dead leaves or weeds and any dead plants are replaced with new healthy plants! Just like the home the garden can be prone to clutter as well. Tidy away any hoses or garden equipment into a shed or storage area. A brilliant way to add extra sparkle to your home is to pressure clean the outside, blasting away any dirt and dust that comes from living in a home ensures the first impression of the home packs a punch!